What Happens to Hazardous Material When It’s Removed from Commercial and Residential Properties? Most trash is disposed of either in landfills or recycled in one way or another, but it’s a whole different story when it comes to hazardous materials. If they’re not disposed of properly, dangerous substances could pose a risk to the environment, animals, and people. It can even contaminate the air quality if left unchecked. Depending on the kind of hazardous material, there are different options available for safe disposal. Many substances may be incinerated to ensure complete destruction, and others may be sent to a landfill for permanent storage. Either way, hazardous materials removed from residential and commercial properties will likely be sent to a licensed hazardous waste treatment/disposal facility for proper disposal according to federal laws. These laws have been put in place to ensure future contamination does not occur and to keep everyone safe and healthy going forward. Commercial properties that contain unsafely disposed hazardous waste could incur fines and/or lawsuits, so business owners and managers should take special care to make sure waste is taken care of the right way by licensed, reputable hazardous material removal companies such as H2 Environmental Consulting Services. Residential properties, such as homes and apartment complexes, also have risks for contamination that could stretch for generations. 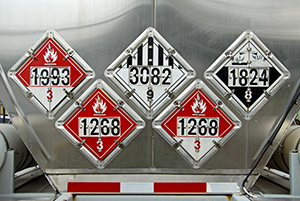 It’s always a good idea to contract a hazardous materials removal company you can trust—H2 Environmental Consulting Services—that will take every safety precaution possible and make sure to thoroughly remove all contaminants. No, because there are so many laws and procedures that have been put in place since the 1970s until now to ensure the environment, animals, and people can enjoy a mostly hazardous material-free existence. Waste treatment/disposal facilities are purposely located far away from large population centers, so there’s a very low chance that you’ll ever come into contact with seriously toxic substances that could pose an imminent danger. Thanks to intense government regulation, fantastic private hazardous materials removal companies like H2 Environmental Consulting Services, and concerned citizens like you, we can keep moving closer to the goal of having a completely pure, clean, toxin-free planet to pass on to future generations.